The U. S. Corn Belt is approximately 150 million acres. Over the past few decades, the use of minimum or no till as a production practice has been increased in an effort to protect against soil erosion and nutrient loss. Furthermore, more acres have been planted to continuous corn because of better prices for corn as a result of changes in biofuel policies and enlarging markets in Asia. These practices contribute to larger amounts of surface crop residue across the landscape. This residue serves as an inoculum source for many residue-borne foliar diseases. Students may talk about this unprecedented large scale corn “monoculture” system and its impact on the environment and/or biodiversity. Alternatives to recommendations that discuss the effects of this system are acceptable. Strobilurin (QoI) fungicides enhance certain physiological processes in plants that are not necessarily associated with disease and fungicide companies have marketed this characteristic as “plant health benefits.” Some effects that have been detected when strobilurins are applied to plants are: 1) improved chlorophyll synthesis and improved water utilization that each positively contribute to photosynthetic and plant antioxidant enzyme activities, 2) reduced production of harmful reactive oxygen species and increase production of antioxidants that could facilitate stress tolerance, and 3) inhibition of ethylene synthesis, due to delayed senesce, this is known as the “greening effect.” It may contribute to better stalk strength; it does not contribute to yield in corn. Students’ discussions of logical physiological processes that strobilurin fungicides can affect are acceptable. The benefits include healthier plants, improved standability, and easier harvest. For growers with large farms, applying a fungicide may enable them to spread harvest over a longer period. These benefits are attractive since they would lead to stronger, healthier plants with hopefully higher yields. These additional reasons suggest positive effects of fungicide use (including increased stalk strength) even in the absence of disease, which might be considered a form of insurance. 3. What is fungicide resistance and what are the risks of foliar corn pathogens developing fungicide resistance? Genetic alterations of pathogens (mutations) can lead to lower sensitivity to fungicides (fungicide resistance). Repeated application of a fungicide with a particular mode of action can provide selection pressure for the resistant strain. Strobilurin fungicides are popular because of their broad spectrum of activity and benefits other than disease protection. This increases the likelihood of fungicide resistance, but to date, monitoring programs have not yet reported resistant strains of foliar fungal pathogens in corn. Growers are unable to tell if and when pathogens mutate, however precautionary measures to reduce selection pressure for fungicide resistance are recommended. These include using combinations of fungicides with multiple modes of action and selecting hybrids with high disease resistance. Checking fungicide labels to ensure correct rate and timing of application is also important. The relationship is complex and not a direct cause and effect. Generally, students’ responses that take into account factors that drive these relationships should be acceptable. The federal government has set a standard, encouraging renewable fuel production from ethanol made from grains, primarily corn. This has created a steady market for corn at higher prices and consequently more growers are willing to disregard IPM principles and grow high yielding corn continuously. Although the risk of disease is higher, the price of corn recently has been good enough to offset/ justify the use of fungicides. Strobilurins (QoIs) are broad-spectrum fungicides that reduce infection by pathogenic fungi and therefore conserve plant energy and nutrients that could have been used in plant defense (Bartlett et al. 2002). They are effective and hence more widely marketed than their predecessors; claims for yield increase in the absence of disease further enhance their beneficial properties and good corn prices could encourage and justify their use. pre-dispose the crop to disease. Disease severity in different sections of a field are noted. Further, preliminary examination of suspected diseased samples could be done for symptoms and signs using a hand lens (portable microscope) and a pocketknife. Comparisons between sick and healthy plants are made. In the current season, scouting assessments aid in determining disease risk and the decision to initiate management practices such as applying a fungicide. Scouting is important even if done late in the season, because accurate assessments aid in determining disease risk the following season. Combinations of factors typically influence profitability when using fungicides. These include the use of susceptible varieties, favorable weather conditions for disease, conditions that increase disease risk like continuous corn, reduced or no-till practices, late planting, irrigation, etc., and most importantly, if disease actually develops. To determine a break-even point, growers take into account the cost of fungicide purchase, cost of scouting, and application cost, as well as grain prices. Research has shown that profitable fungicide use is more likely when disease is a threat to production. Students’ suggestions that give consideration to some variants of these factors are acceptable. The cost of using name-brand fungicides varies from $20 to $30 per acre; in addition to those, there are also low-cost generic fungicides available. Producers are most likely to see returns on fungicide investments if disease is present. If making insurance application where disease risks are lower, the availability of generic fungicides could further justify fungicide use. 1. 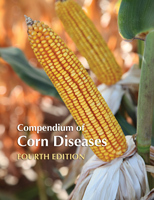 Did this case study activity help you learn about the issues related to the use of fungicides in corn production? 2. If so, what aspects of the case study activity contributed the most to your learning? 3. What specific changes would you suggest that might make this case study more effective in helping students learn about the issues surrounding fungicide use on corn, fungicide applications for “plant health benefits,” etc. ?